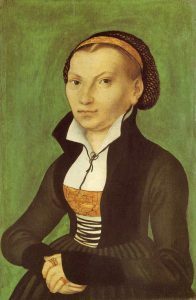 Birth of Katharina von Bora (1499-1552), wife of Martin Luther, in Lippendorf, Neukieritzsch, Germany. “Die Lutherin”, as she was referred to, was sent at the age of 5 to the Benedictine cloister in Brehna in 1504 for education. At the age of 9 she moved to the Cistercian monastery Marienthron (Mary’s Throne) in Nimbschen. After several years of religious life, Katharina became interested in the growing reform movement and grew dissatisfied with her life in the monastery. 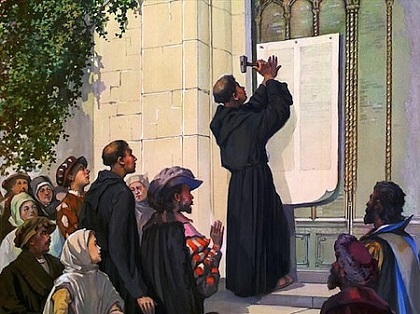 Conspiring with several other nuns to flee in secrecy, she contacted Luther and begged for his assistance. 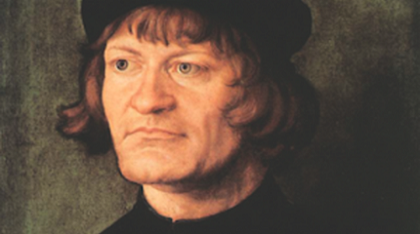 Luther eventually married Katharina on June 13, 1525. 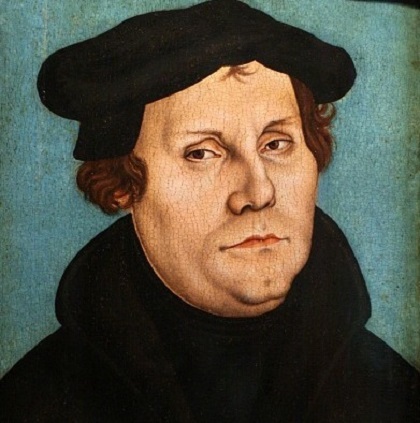 At the time, Luther’s marriage was a scandal on many levels: he was a 42-year-old monk who had broken his vows, married to a 26-year-old runaway nun who had broken hers. Martin Luther’s beloved wife Katharina bore six children, organized the family finances, and ran the household. Birth of Ernst Kummer in Sorau, Germany. 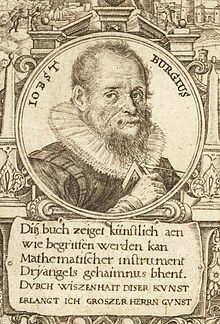 Kummer was the mathematician who introduced the concept of ideal numbers. Kummer became a professor of mathematics at the University of Berlin. With his ideal numbers he proved the insolubility of Fermat relation for all but a limited number of prime numbers. He also developed the Kummer surface. Death of Joseph von Görres in Munich, Germany. Görres was a Romanic writer who worked with Achim von Arnim and Clemens Brentano. In 1808 he founded the newspaper, Rheinische Merkur. In 1827 he became a professor of history at the University of Munich where he worked with a group of Roman Catholic scholars engaging in Catholic intellectualism. The Görres Society for the advancement of Roman Catholic studies was named for him in 1876. Death of Ernst Moritz Arndt in Bonn. 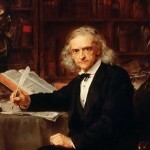 The poet, Arndt studied at the University of Jena. His poetry is patriotic as are the numerous pamphlets he wrote. He was a professor at the University of Greifswald and when the University of Bonn was founded he was a professor and rector there. He was a member of the Frankfurt Assembly in 1848. Death of Fritz Kreisler in New York, N.Y. (born in Vienna, Austria). Beginning in 1899 he developed as one of the world’s greatest violinists. 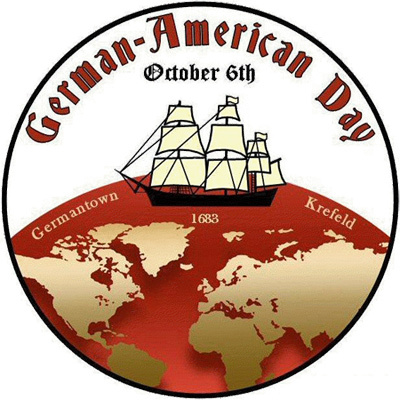 He chose the United States as his primary residence beginning in 1915. In addition to performance he also composed for the violin. 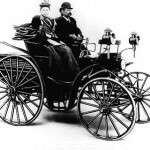 The design of the Benz automobile is patented. 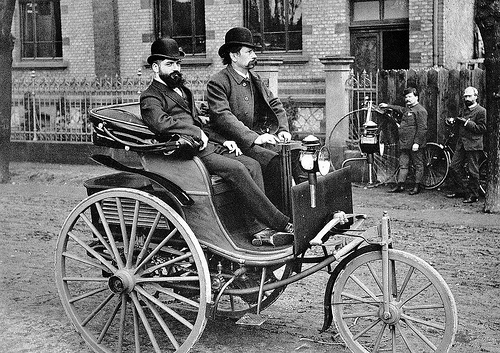 Benz would later merge with Daimler and one day become the Mercedes-Benz Company. 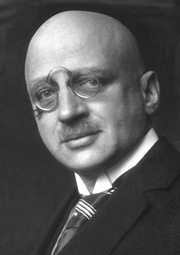 Death of Fritz Haber in Basel, Switzerland (born in Breslau, in Prussian Silesia (now Wrocław, in Poland)). As a professor of physical chemistry at the Technische Hochschule of Karlsruhe, he invented a method of synthesizing fertilizer from nitrogen and hydrogen. (The need for fertilizer was huge but the natural supplies had to be imported from Chile and it made this an expensive and unsure matter.) In 1909 he took his discovery to the Badische Anilin- and Soda-Fabrik (BASF) where he and Carl Bosch developed a method of mass production, the Haber-Bosch Process. He won the Nobel Prize for Chemistry in 1918 for his work. During the Nazi years he was referred to as the “Jew Haber”. In 1933 he gave up his work in Germany and accepted a position at the University of Cambridge in England. He died in Basel of a heart attack on his way to a planned winter holiday in Italy.